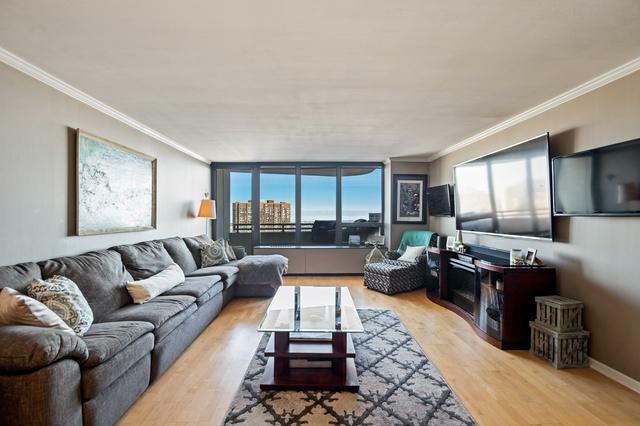 Don't miss out on this recently updated 2 bed/2 bath condo with unparalleled building amenities. 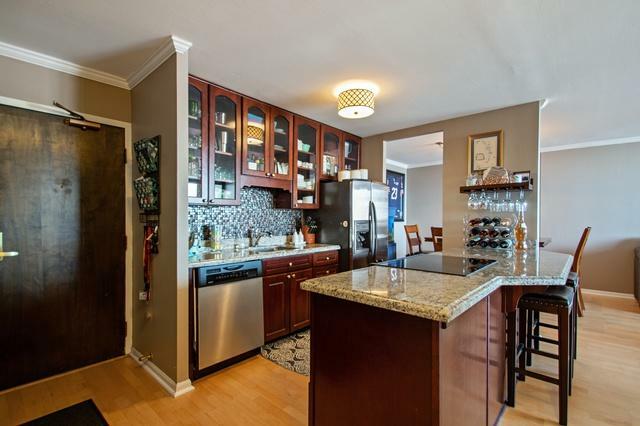 The open concept kitchen features stainless steel appliances, cherry cabinetry, granite countertops and sits adjacent to a separate dining room. Both bedrooms boast custom closets and stunning lake views. The outdoor balcony allows for a grill, small dining set and stunning views of the lake. HOA fees include cable, internet, gas and water. 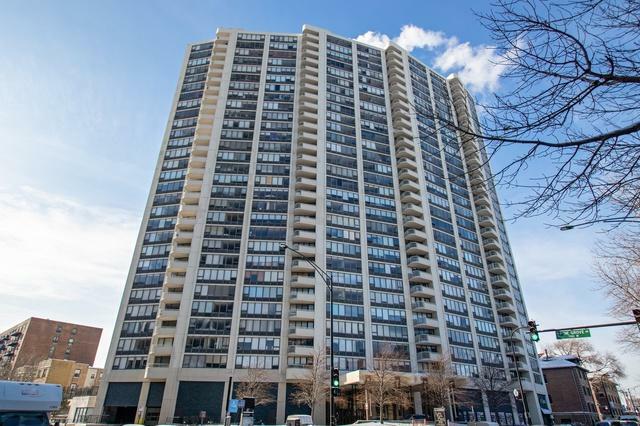 Building amenities include basketball and tennis courts, pool deck, storage units, bike storage, 24/7 doorman and a Go Grocer in the building. Valet and standard parking available at an additional cost. Building is in great financial shape with 7.4 million in reserves. No specials have been requested during owners tenure and none planned. 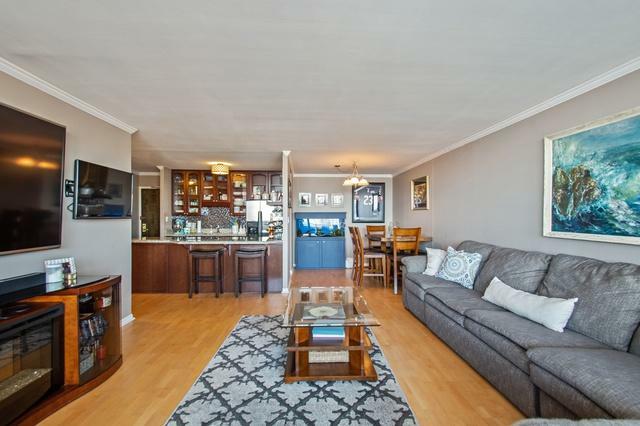 Close to walk to Red Line stop, express bus to downtown outside your door, and only 15 min walk to Wrigley. A beautiful home, convenient and fun location and a strong building financially makes this home unbeatable.